NYC Immigration Lawyers, Naturalization, Green Cards, Deportation Defense, Brooklyn, New York - How Do I Participate in the Diversity Visa Lottery Program? 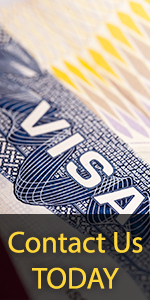 » How Do I Participate in the Diversity Visa Lottery Program? How Do I Participate in the Diversity Visa Lottery Program? The legal foundation for the Diversity Visa Lottery Program comes from the Immigration and Nationality Act (INA). Please see section 203 of the INA for more information. · You must have a high school diploma or the equivalent, defined in the United States as successful completion of a 12-year course of elementary and secondary education; OR you must have two years of work experience within the last five years in an occupation that requires at least two years of training or experience to perform. · See the State Department information on the DV program. Before each year's lottery drawing, the Department of State will publish explicit instructions on how to apply in press releases and the Federal Register. Please follow all directions exactly. Millions of applicants are rejected each year for failure to follow the directions. Please watch the State Department Website for more information on the Diversity Visa Lottery Program. Instructions are usually posted in August, and the registration period is usually held in October each year. Please be aware: Winners are not notified by electronic mail. Please see the Department of State Fraud Warning in the Related Links section of this page. Please watch the State Department Website for more information on the Diversity Visa Lottery Program. You may also call the State Department's Visa Lottery Information Center at 1-900-884-8840 for more information. Please note: There is a charge for each call. You may also contact your nearest U.S. Embassy or Consulate. A listing of U.S. Embassies and Consulates can be found on the State Department website.